​A healthy, functioning civilization can only be built upon a healthy, functioning food system. 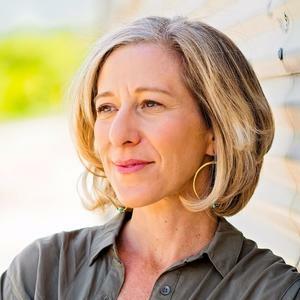 In America today there is no doubt that our food strategy is not meeting the fundamental requirements of a proper food system for sustaining life. In other words, rather than nourishing the people and making them healthy, our food system is making everyone terribly, terribly sick. Instead of a regenerative agricultural system than tends the land of the earth with care so that it supports pollinators and fertile soil and clean water systems and thrives and replenishes year after year and generation after generation, our agricultural system is destroying is killing the planet on a massive scale. ​We are feeding our own demise with this malnourishing, toxic food system and our civilization is in decline because of it. ​Monsanto with their engineered crops and the extreme use of their herbicide Roundup is a major culprit in the demise of our health and the decline in our ecosystems, food system and the health and wellbeing of the people. Americans swear fealty to their beloved processed food brands and seem to be willing to fight to their literal death in support of the companies that provide them with their fix of scientifically engineered to be addictive foods. People cling to their brands despite what we know about their toxicity and serious harm caused to humans and ecosystems. That harm is overwhelmingly proved by clinical experience, public health outcomes and the massive weight of the evidence. 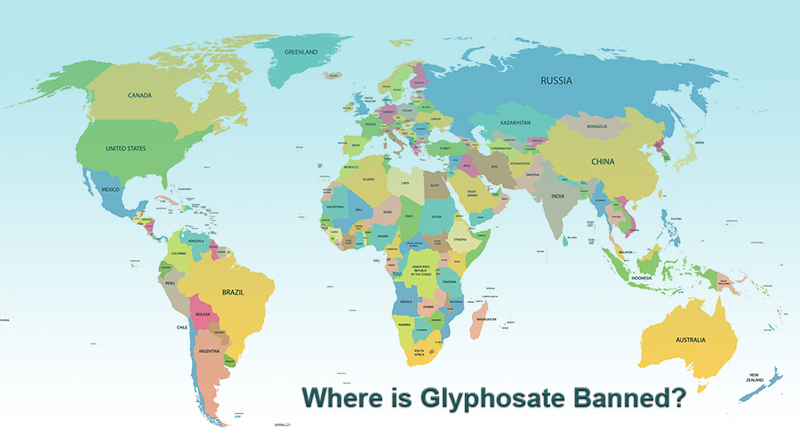 Here's a brief summary of current issues in the Roundup-Monsanto-Glyphosate catastrophe. We have known for decades that this horrible herbicide is toxic, that the agricultural system it promotes is destructive to life on planet earth and that Monsanto has been working against the public interest for many decades. Finally, America seems to be waking up to the dangers and seeking healthy alternatives. Don't let your love of a certain brand destroy your health any longer. If you need convincing read on - and click the links for more information and discussion. 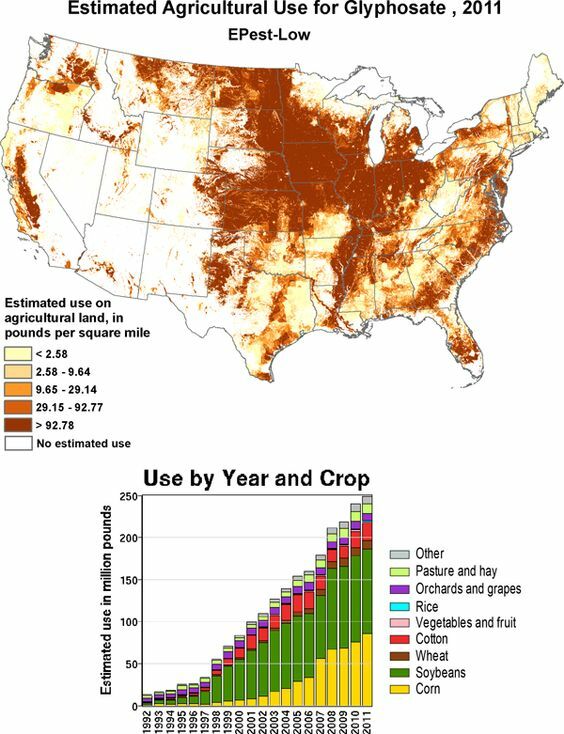 According to Scientific American, "Glyphosate, Roundup’s active ingredient, is the most widely used herbicide in the United States. About 100 million pounds are applied to U.S. farms and lawns every year, according to the EPA." ​"Until now, most health studies have focused on the safety of glyphosate, rather than the mixture of ingredients found in Roundup. But in the new study, scientists found that Roundup’s inert ingredients amplified the toxic effect on human cells—even at concentrations much more diluted than those used on farms and lawns. 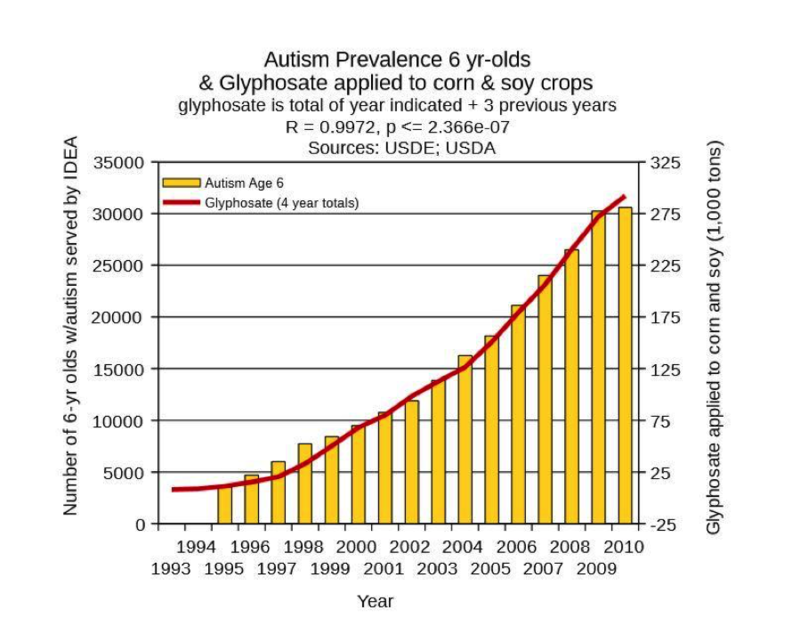 "...More and more research is pointing to the possible connection between autism risk, and exposure to the herbicide glyphosate,the active ingredient in the common weed killer Roundup." "The highest levels, greater than 1,000 ppb, were detected in two samples of Quaker Old Fashioned Oats. 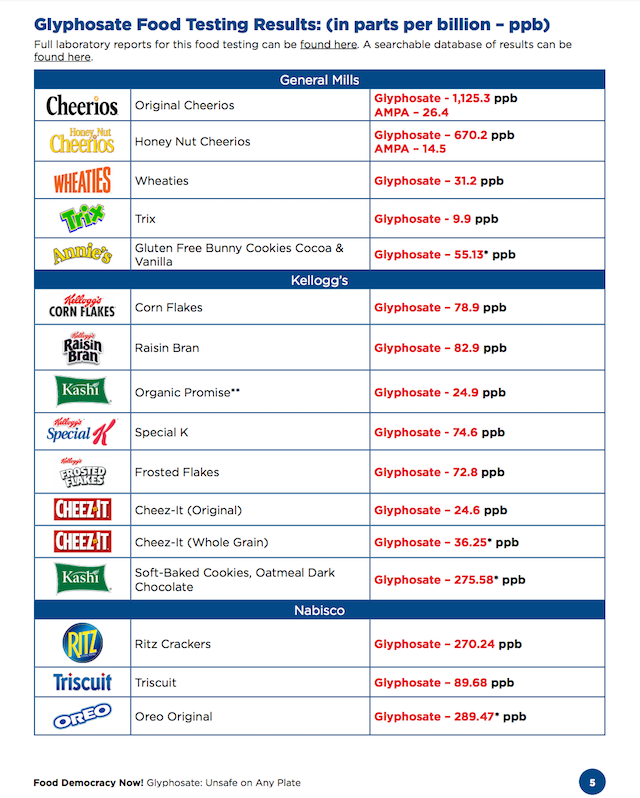 Three samples of Cheerios had glyphosate levels ranging from 470 ppb to 530 ppb. Twelve of the food samples had levels of glyphosate lower than EWG’s health benchmark, ranging from 10 ppb to 120 ppb. 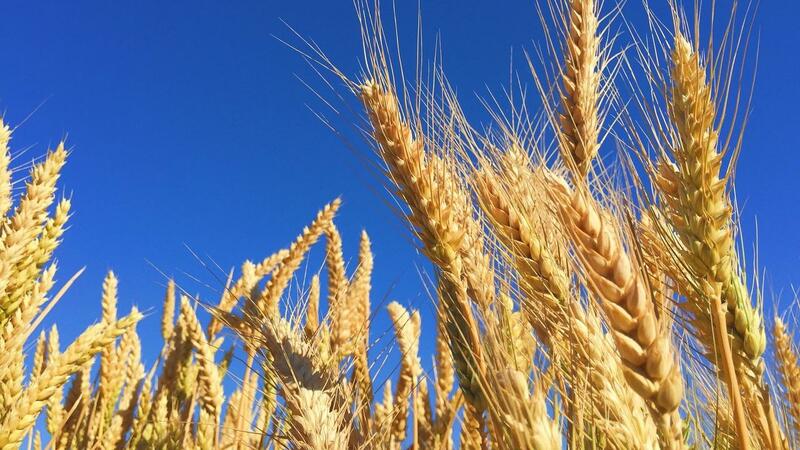 Only two samples had no detectable glyphosate." 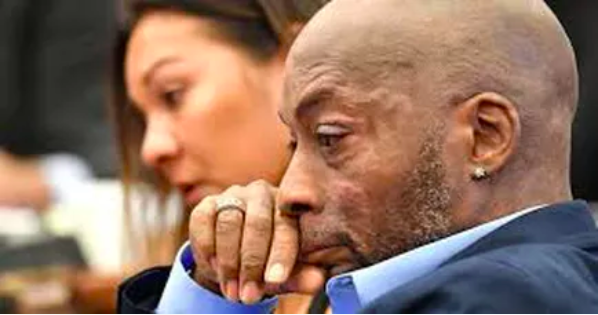 "A California jury on Friday found Monsanto liable in a lawsuit filed by a school groundskeeper who said the company’s weedkillers, including Roundup, caused his cancer. The company was ordered pay $289 million in damages. ​Argentina: Over 30,000 health care professionals advocated for a glyphosate ban following the International Agency for Research on Cancer’s (IARC) report on glyphosate, which concluded the chemical is probably carcinogenic to humans. More than 400 towns and cities in Argentina have passed measures restricting glyphosate use. Brazil: In August of 2018, a federal judge in Brasilia ruled that new products containing glyphosate could not be registered in the country. Existing regulations concerning glyphosate were also suspended, pending a government reevaluation of toxicological data. The ruling is significant, as glyphosate-based herbicides like Roundup are widely used in Brazil for GMO soy and other crops. Brazil is the largest exporter of soybeans in the world.